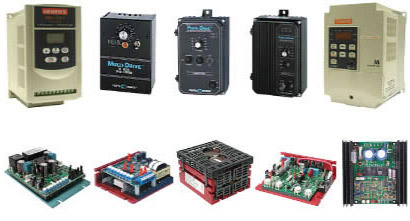 KB Electronics, Inc. continues to dominate the fractional to 5-horsepower DC Drive Speed Control market. While DC motors and drives offer the user the ultimate in high performance, small size and low cost, small AC motors and drives are challenging that very concept. KB's goal was to develop a line of AC Drives that would and could replace DC controls. Today KB manufactures AC Drives that match the performance of DC drives but fit within the same footprint or are smaller than their DC counterparts. Many Penta-Power products contain the patented KBMM current limit circuit, other products feature current feedback loops with motor burnout protection. KB Electronics PWM controls are short circuit proof and prevent high speed runaway. Spec-Tech offers KB controls to satisfy your most demanding requirements.